I was looking for a narrow trimmer that felt substantial, but could handle delicate skin. This was perfect and nearly half the price of the same thing elsewhere. Very pleased. I wanted a good corded beard trimmer to go along with my cordless trimmers because of their battery life. I was hesitant on these but I must say, they perform better than any of my other trimmers, corded or cordless. These are great. Very close trim, lots of accessories. So far this has been a really great beard and mustache trimmer. It's quiet and works well. I've used it for about five or six months now and I have no complaints at all. Best personal grooming purchase decision I've ever made. My old rechargeable or battery powered chargers didn't have the same power as this corded trimmer. It takes me half the time to trim my facial hair as it did with other trimmers. This is a good bare bones trimmer and for the price it is a very good deal. 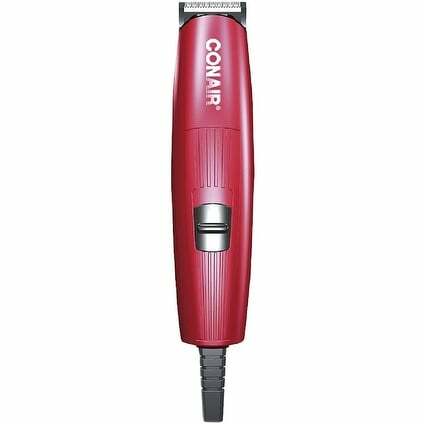 The trimmer seems solid and well made and comes with 2 combs - 1 short and 1 long - for trimming to different lengths. It has an attached power cord that needs to be plugged in to make this trimmer work. It is not cordless. It's light and fits well in my husband's hand. He has a goatee & a mustache and It's easy to control and trim exactly where he wants it. The 3 different cutting guides work very well. Bought this for my hubby and he loves it! Great for cleaning up after I give him a haircut and trimming those sideburns and neck hairs. Use this item all the time, really good. Very happy with my new product. I especially love the way it is a plug-in versus battery or charging the device up. Cuts very smooth very nice handles nicely fits perfectly in your hand. Works as it should and is as described. Well-made and is exactly what I wanted. Works great and we don't have to worry about charging it. FAQs about Electric Razors from Overstock.com. Our guides provide customers with information about FAQs about electric razors. How to Shave with an Electric Razor from Overstock.com. Our guides provide customers with information about how to shave with an electric razor. Wahl All In One Rechargeable Hair Trimmer, 1 ea.